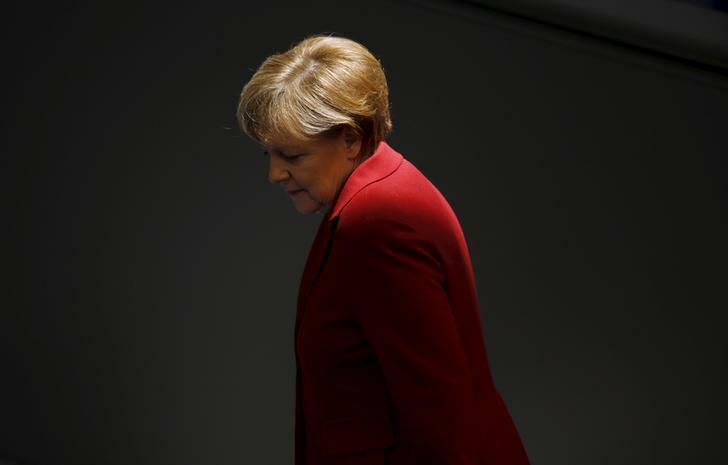 Chancellor Angela Merkel is under pressure. But how would Germany’s role in Europe change without her? Probably not much. While a new leader might need time to build political capital, projects like the euro and keeping the EU together would still be in Germany’s interest. German Chancellor Angela Merkel attends a debate at the Bundestag, the lower house of parliament, in Berlin, Germany in this March 19, 2015. Support for German Chancellor Angela Merkel’s conservatives has fallen further after mass sexual assaults on women, blamed on migrants, in Cologne on New Year’s Eve, several surveys conducted in mid-January show. A poll for public broadcaster ZDF published on Jan. 15 showed support for Merkel’s conservatives down 2 percentage points to 37 percent. The anti-immigrant Alternative for Germany (AfD) party, which has stepped up its criticism of Merkel’s refugee policies since the Cologne attacks, rose 2 percentage points to 11 percent. The poll also showed that a majority of Germans now fear that the country cannot cope with the influx of migrants. Public support for Angela Merkel’s refugee policy has fallen too.